William D. Muir, Jr. was elected to the Board of Directors in 2014 and is Chairman of the Compensation Committee and a member of the Finance Committee. 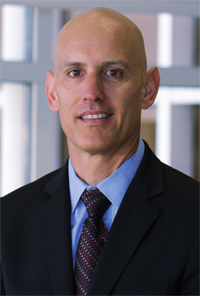 Mr. Muir served as the Chief Operating Officer of Jabil Circuit, Inc. (NYSE: JBL), from 2013 through 2017. From 2009 to 2013, Mr. Muir served as Jabil's Executive Vice President and Chief Executive Officer, Global Manufacturing Services, responsible for $14B of annual revenue with commercial leadership across diversified markets, including Healthcare & Life Sciences, Enterprise & Infrastructure, High Velocity and Industrial & Clean-tech. Additionally, Mr. Muir led the global, integrated capabilities in Operations, Supply Chain and Design which underpin these diversified businesses. Previously, Mr. Muir served as Regional President for Asia, responsible for Jabil's Operations and Business Development efforts across China, India, Vietnam, Malaysia, Singapore and Japan. In this capacity, he resided in Shanghai from 2004 through 2007 and subsequently in Singapore until 2009. Prior to his leadership role in Asia, Mr. Muir led Global Business Development efforts for Jabil across large-scale customer relationships and has also held roles leading Operations across the Americas.